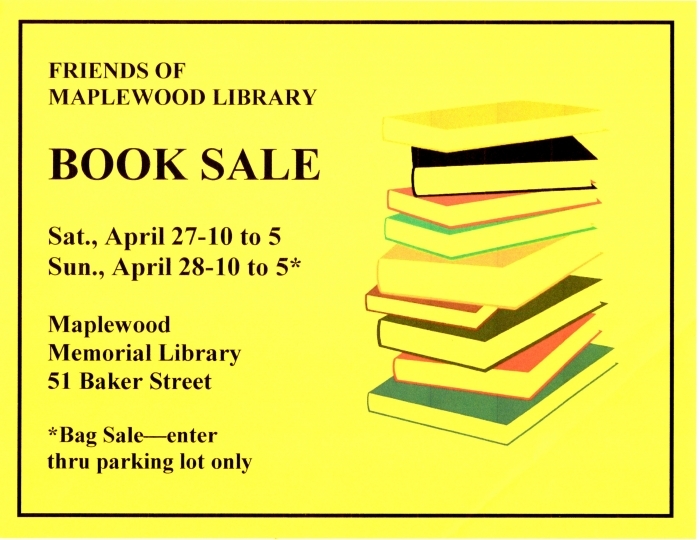 The Friends of the Maplewood Library are holding their annual Spring Book Sale on Saturday, April 27, 2019 (10 a.m. to 5 p.m.), and Sunday, April 28, 2019 (10 a.m. to 5 p.m.-- entry on Sunday is via the parking lot only). Wide-ranging selection of books available on a variety of subjects plus DVDs, CDs, audiobooks--all at great prices. On Sunday a bag (supplied by Friends) can be filled with the buyer’s choice of books, etc. 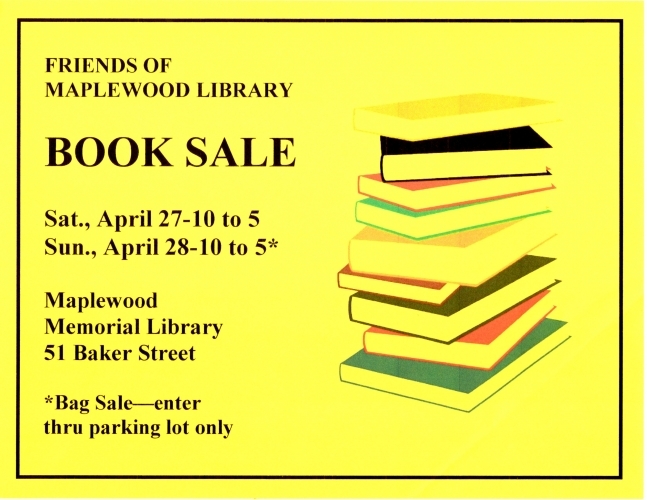 Maplewood Memorial Library, 51 Baker Street, Maplewood, NJ. For information, call 973-762-4136.